I am not a Tiger Mom with straight-A kids. No. I like to think of myself as a Sloth Solo Mom and my children as Sloth Kids. In contrast to the pacing tiger, the sloth never looks stressed. It seems to do only what it wants to do. This is why our family strives to emulate the sloth. Despite this approach to life, my two kids managed to get substantial scholarships that will fund the majority of their education. I was lucky in that I didn’t know the sloth parenting method would work with regard to college funding; however, in retrospect, I see why it worked. The key concept that drives the Sloth Solo-Mom approach is “opportunity cost.” Everything we do in life costs us something and gains us something. The currency can be time, money, pleasure, opportunities, etc. When kids understand this mechanism, they make choices that are aligned with their life goals. College funding becomes an integrated part of that goal. So what are some concepts inspired by this Zen animal? 1. Don’t harass and harangue the kids about grades. Let’s be honest: What Solo Mom has the energy? Or the energy to waste? The idea that everyone should do his or her best at all times sounds sensible in theory but makes no sense in real life. Everyone has only finite time and energy. Instead, at the beginning of each semester, my kids and I talked about what grade each would be happy with in each class and why. This resulted in a lot of stupid decisions, bad reasoning, and inevitable regret. Also, my kids never followed through on their plans because what we think we want and what we actually want are not the same. Experiencing and discussing this discrepancy, however, helped them become more self-aware, which helps them make ever better choices. Best of all, this method requires only an hour a semester of Sloth Solo-Mom’s time instead of hours of nagging. 2. Don’t put constant pressure on them to go to college. If I pressured them to go to college, then college would have been my choice, in which case college would have been mine to pay. No thanks. Instead, we talked about all the interesting ways people lived and supported themselves. We discussed the lives of people who went to college and those who didn’t, with the message being this: there is no one golden road to happiness, but college opens up more opportunities. Make it seem like college is their idea, and they will work for it. 3. Don’t pay for their college education. 4. Let them do whatever they want (within reason) in their free time. Even though this point is number four on this list, I think this is the most important advice. There is so much propaganda about what students “need” these days to make their college/scholarship application attractive. I say don’t worry about any of that. Both my children got their scholarships because they spent their time doing what they wanted. Take my son, for example. Since he was seven, his life was soccer. Hence, his education is funded because of soccer. Although he goes to a Division III school that can’t give sports scholarships, my son made it clear to the coach that significant financial assistance was necessary. The expensive private school went out of its way to fund him generously through other means. My daughter, however, didn’t have a one-dimensional and marketable interest. When her friends were at sports practice, she napped. She liked to polish her nails, watch YouTube videos about how to polish nails, bake cookies, and play with babies. I supported this lifestyle by napping with her, letting her polish my nails, and eating her cookies. One day, a neighbor asked my daughter to babysit. Within a short time, she became the most popular babysitter in town. Her lack of extracurricular activities meant that she was always available. Her addiction to nail polish meant she needed money. Little girls loved that she did their nails. Parents loved coming home to happy kids and a fresh-baked blueberry pie. One of those parents was a professor. Toward the end of my daughter’s sophomore year, he told her about a full-tuition merit-based scholarship his school was offering and encouraged her to apply. My daughter—who was a mediocre student—decided she wanted this scholarship (because of point number three on this list). She raised her grades, studied for her ACTs, and wrote an essay about everything she learned from babysitting. She won this competitive scholarship—beating straight-A students with a laundry list of extracurricular activities. 5. Let someone else talk to them about money. Even with the scholarships, my kids still have some college costs to cover. Someone had to talk to them about that, so I picked one somebody and that somebody was not me. I had them sit down with a financial adviser, Corey. Both my kids said, “Corey explained it way better than you, Mom.” Thanks to Corey, my kids began college with basic financial literacy. What is the one thing I regret? If I could go back in time, I would have scheduled a meeting with Corey their freshman year of high school or even earlier. Finances are an important component of decision making in life. The sooner kids understand it, the more meaningful their decisions—and their lives—can be. 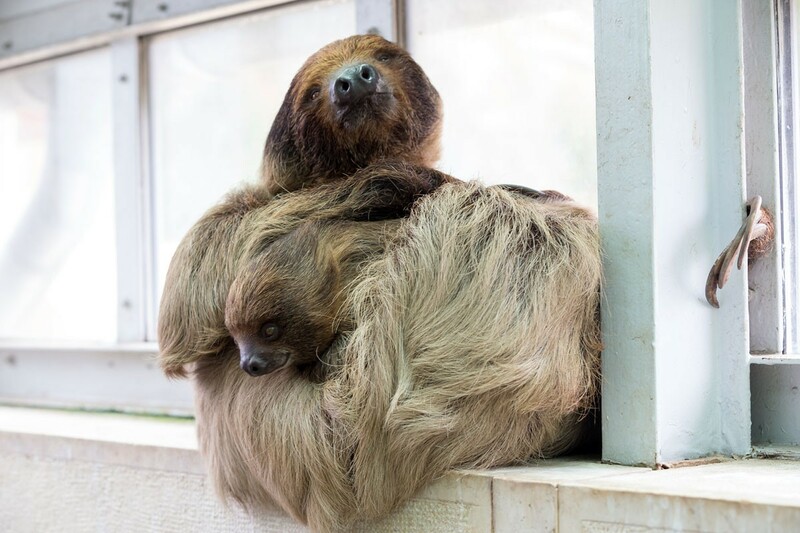 It’s up to you, Solo Moms: Tiger or sloth?